My friend David Pambiachi and I go way back. I once jumped on the back of his Harley and went with him to a Hells Angels Bar. He remained stone cold sober while I did shots of tequila with some kindly bikers. The next week I decided to white knuckle it and went on the wagon. David left a wormy boozy party with me and together we walked for hours through the chilly upper Westside, while David listened to me ball about my broken love affair with Cuervo. But David is way more than a friend. He's a Renaissance Man. He's a writer, artist, journalist, chess master, black belt, and all around nice guy... most of the time. That is, when he's not teasing me about my veganhood, or telling me how he thinks my cat Satchmo is in need of Celebrity Fat Cat Fit Club. David is also a die hard carnivore from a tough Italian neighborhood in Queens so I doubt he'll be giving up cannolis or calzones anytime soon. I certainly ain't gonna twist his arm. I just want to prove to my friend that vegan food can taste surprisingly like the real deal. The other day David told me he makes a mean key lime pie. What doesn't he do? Well be a vegan that's what, but that's beside the point. I asked him to send me the recipe so I could veganize it. He obliged twice. My computer ate it the first time. 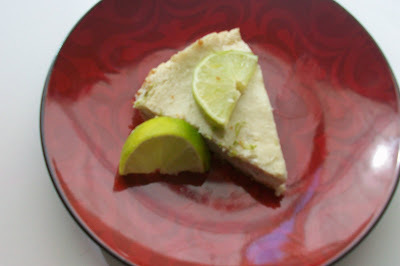 vegan key lime recipes and reviews. One recipe used a combo of silken tofu and tofutti. Reviewers said it wasn't limey enough and that it tasted more like cheesecake. I watched a YouTube video that never completed the recipe. I think the chef croaked after adding the tofutti cream cheese to the food processor. 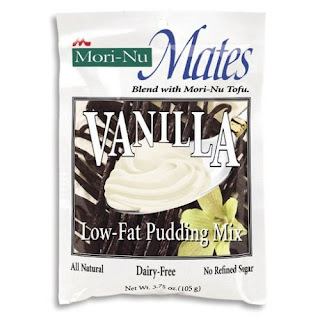 Another video added packets of Mori-Nu vanilla pudding mix. I love Mori-Nu vanilla, but I really couldn't see it in this recipe. Finally I decided to tweak a recipe from "Cooking With PETA" and use my own crust. Reviewers said it was the best vegan key lime pie they ever had, then again Larry was my only reviewer. Instead of going the usual graham cracker crust route I decided to use Trader Joe's low fat cat (get it... ha ha David) cookies for the crust. In food processor with steel blade combine cat cookies and sugar. Pulse into fine crumbs. Pour into pie plate. Drizzle in canola oil and mix with your fingers. This is fun! Drizzle with the rice milk and mix again with your CLEAN fingers. (I emphasize clean, because my Mommy told me to ) Refrigerate until ready to use. The crust not your fingers. Zest from 1 lime (for garnish later) and lime slices for decoration. Preheat oven to 350 degrees. Place all ingredients (except the zest and garnish, silly) in food processor and mix 'til smooth. Fill refrigerated cat cookie crust and bake 45-55 minutes. Let cool. Refrigerate over night. Go ahead and garnish you vegan artist you! I don't know, I still think it tastes like a vegan lime cheesecake. It's rich and velvety and really good though. Thank you for the recipes David, and as always thanks for being there for me and thanks for being you. How 'bout giving up calzone and cheesecake for Lent? Huh Big guy? Hey Blogger site. I formatted and reformatted all night and still everything is jostled. Dear reader if you are wondering about the crazy format well... I blame Blogger! Hi Gigi. I love it. And you're funny. Although a carnivor. Sorry. I have my own feral lovely by the name of Magic. He is married. 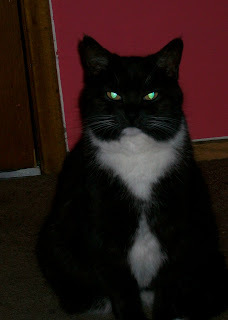 I brought him home a mail order bride from the SPCA by the name of Millie. She's hottt. At least he thinks so. See you around. Keep blogging. HMMM, THIS IS A BLOGGING TEST..1,2,3 testing 1,2,3..I thought I became a follower (instead of a leader) but since I have had trouble posting my comments in response to your hilarity, I may be mistaken!!! let's try again,shall we? In the event this posts...... I love reading your blogs they are refreshing and hilarious! Hey GiGi!! I did it!!yay! Thank you Heidi and Kate! Kate, go ahead add yourself as a follower. Why GiGi Went Missing! Be prepared! June 2014! Here come's the relaunch! Long time vegan and Owner of the vegan bakery, Veganville. 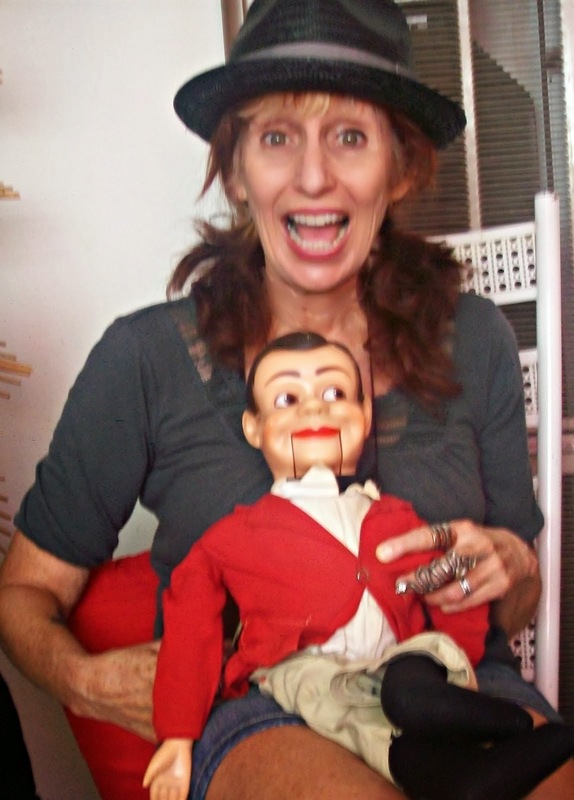 I am an irreverent often misguided writer performer and video maker, who spins tales of veganhood with glimpses of past inebriation. Married to a vegan. Mommy to two unvegan fur babies.